When my son was 6 years old, I began to take him fishing at the Fort Hale Park pier in Morris Cove. Unfortunately, this beloved neighborhood pier was severely damaged during Superstorms Irene and Sandy. 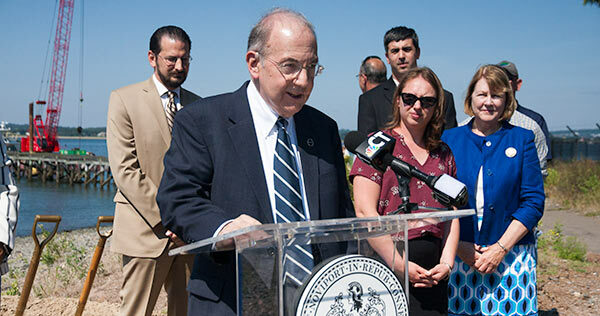 Working with other New Haven state legislators I spearheaded the effort to secure $1.8 million in state funding to rebuild the pier, which will extend into deeper water and have more room for fishermen. Last week, I was proud to join with Mayor Toni Harp, State Rep. Al Paolillo, Jr., Alder Sal DeCola and state and local officials as we broke ground on the project and began construction. By next spring I plan to be back on the pier, this time fishing with my grandson. Back-to-School Savings: Tax-Free Week Runs Through Saturday! The new school year for most children begins in less than a week, and that means back-to-school shopping. Once again, for the 17th year in a row, many items of clothing and footwear costing less than $100 can be purchased without paying any Connecticut sales tax during “Sales Tax-Free Week” which began on Sunday, August 20th and continues through this Saturday, August 26th. Also, there are no limits on how many items you can buy, as long as each individual item is priced less than $100. 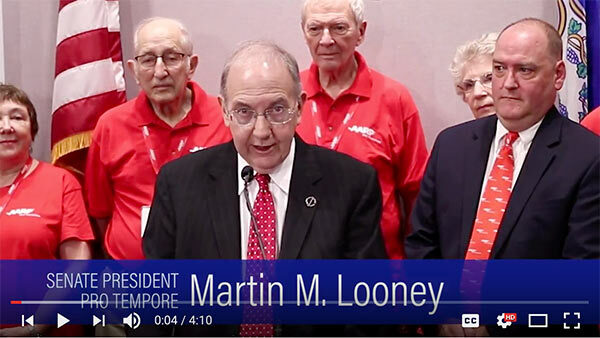 Last week, I joined Speaker Aresimowicz, Comptroller Lembo and members of AARP to applaud Connecticut's decision to move forward with the implementation of the Connecticut Retirement Security Program despite Republican opposition in Washington. Helping private-sector workers save their own money for retirement is a sustainable, common-sense solution to prevent people from falling into poverty once they reach retirement age and may be entirely reliant on Social Security benefits. While I am proud that Connecticut is one of the states leading the way on this issue, I find it to be unfortunate that Republicans in Washington are actively working to deny a secure, sound financial future to the 600,000 private-sector workers in Connecticut who don't have an employee-sponsored retirement savings plan. The legislation creates a program in which employees make voluntary contributions to be deposited into a professionally managed retirement fund; every employee would have the chance to enroll in the retirement savings program. Employers wouldn't have any fiduciary responsibility and wouldn't be required to pay any administrative fees. The program is designed to be self-sustaining and low-risk.